Gabi Hernandez chronicles her last year in high school in her diary: college applications, Cindy's pregnancy, Sebastian's coming out, the cute boys, her father's meth habit, and the food she craves. And best of all, the poetry that helps forge her identity. My mother named me Gabriella, after my grandmother who, coincidentally, didn't want to meet me when I was born because my mother was unmarried, and therefore living in sin. My mom has told me the story many, many, MANY, times of how, when she confessed to my grandmother that she was pregnant with me, her mother beat her. BEAT HER! She was twenty-five. That story is the basis of my sexual education and has reiterated why it's important to wait until you're married to give it up. So now, every time I go out with a guy, my mom says, "Ojos abiertos, piernas cerradas." Eyes open, legs closed. That's as far as the birds and the bees talk has gone. And I don't mind it. I don't necessarily agree with that whole wait until you're married crap, though. I mean, this is America and the 21st century; not Mexico one hundred years ago. But, of course, I can't tell my mom that because she will think I'm bad. Or worse: trying to be White. Isabel Quintero is a library technician in the Inland Empire. She is also the events coordinator for Orange Monkey and helps edit the poetry journal Tin Cannon. 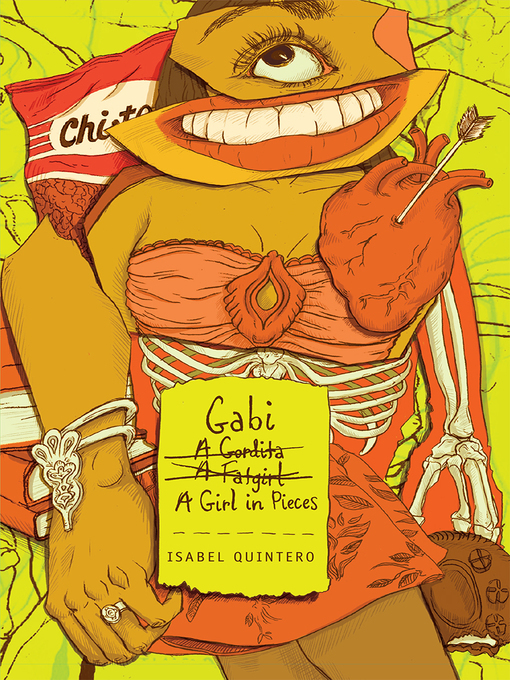 Gabi is her debut novel.